A self-proclaimed guerrilla fighter for ideas, Baruch Kimmerling was an outspoken critic, a prolific writer, and a “public” sociologist. 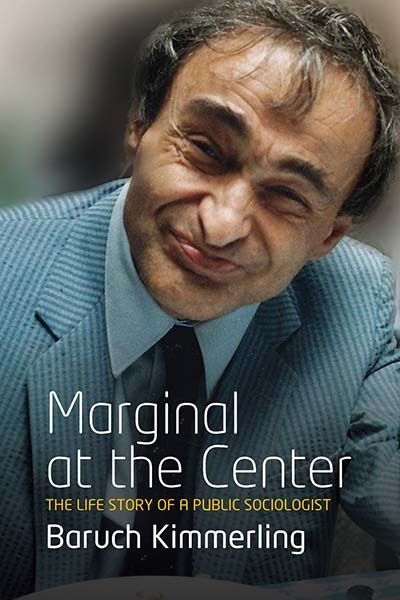 While he lived at the center of the Israeli society in which he was involved as both a scientist and a concerned citizen, he nevertheless felt marginal because of his unconventional worldview, his empathy for the oppressed, and his exceptional sense of universal justice, which were at odds with prevailing views. In this autobiography, the author, who was born in Transylvania in 1939 with cerebral palsy, describes how he and his family escaped the Nazis and the circumstances that brought them to Israel, the development of his understanding of Israeli and Palestinian histories, of the narratives each society tells itself, and of the implacable “situation”—along with predictions of some of the most disturbing developments that are taking place right now as well as solutions he hoped were still possible. Kimmerling’s deep concern for Israel's well-being, peace, and success also reveals that he was in effect a devoted Zionist, contrary to the claims of his detractors. He dreamed of a genuinely democratic Israel, a country able to embrace all of its citizens without discrimination and to adopt peace as its most important objective. It is to this dream that this posthumous translation from Hebrew has been dedicated. Baruch Kimmerling was Professor of Sociology at the Hebrew University of Jerusalem. His many publications include The Invention and Decline of Israeliness (University of California Press, 2001); A History of the Palestinian People (with Joel S. Migdal, Harvard University Press, 2003); and Clash of Identities: Explorations in Israeli and Palestinian Societies (Columbia University Press, 2008).